In an apparent first, Chinese scientists have launched a weather-observing rocket from an uncrewed semi-submersible vehicle (USSV). I guess anything can be a “first” if no one has done it before and it’s specific enough. Though important, these measurements can be difficult or limiting due to the types of equipment available: buoys, ships, or aircraft. China has relatively few islands or platforms to perform these measurements from in the expanse of ocean bordering the country, according to the paper published in the journal Advances in Atmospheric Sciences. The researchers are therefore testing out semi-submerged vehicles, ones where the vessel travels underwater but the science equipment sits above the surface. The paper explains that these vehicles are durable, and since they’re bottom-heavy, they’re self-righting like a Weeble. The vehicle also has the capabilities to launch a rocketsonde, or a device that launches into the air and then falls back down to the ocean, taking atmospheric data along the way. The rocketsonde launched from the uncrewed vehicle allows researchers to gather atmospheric data in conditions that would prohibit the use of a weather balloon, like a typhoon. The scientists carried out trials in rivers and in the ocean from May 2016 to November 2017. The devices onboard the semi-submersible functioned properly, according to the paper, and the researchers were able to launch four rocketsondes to a maximum height of 1,230 meters (4,035 feet), receiving near real-time data on the air pressure and temperature as well as the wind speed and direction. 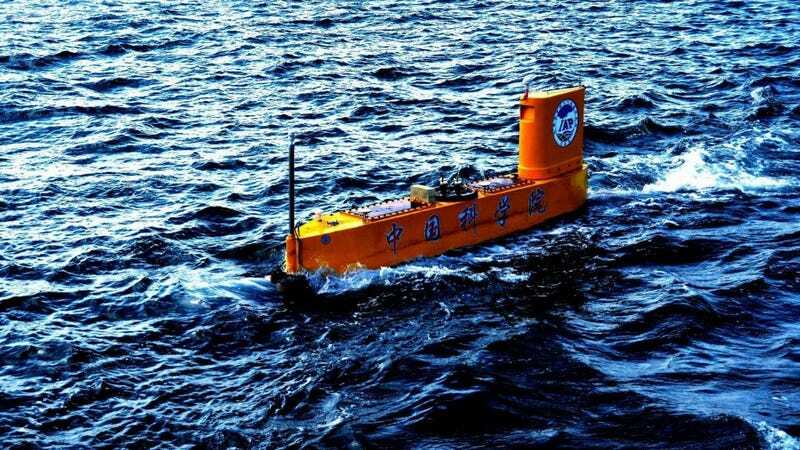 Perhaps in the near future, China will rely on rockets launched from semi-submersibles during powerful storms.